Mock Trial Questions Answered Here! What do you need to know? I am not sure what to write about next. I have covered prosecutor’s opening, defense opening, prosecutor closings, defense closing, leading questions, cross exams for lawyers and witnesses, general tips for witnesses, and dealing with forgetful witnesses, and hearsay, etc. I need the readers to give me some feedback in terms of what other questions students have. Also to make this blog more interactive, I added the social “share” buttons below. So if you find an article or blog post helpful, go ahead and share it. Thanks! Mock Trial questions answered here! 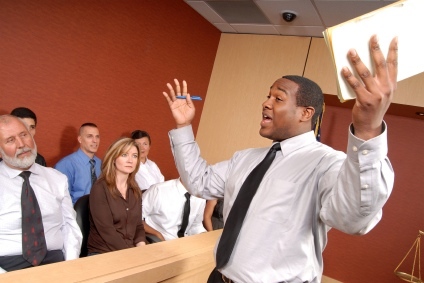 I wrote last month about presenting a mock trial opening statement for a prosecutor, so this post will deal with an opening statement for a defense lawyer. Before I launch into my suggestions, let’s talk a little bit about what the role of a defense lawyer is in a trial. The defense lawyer’s job is to make sure that his or her client gets a fair trial, and that means that the defense lawyer must advocate for the client’s point of view. An mock trial opening statement is scored both on the content and also on delivery. Most of the time a defense lawyer does not succeed in convincing a jury of a the defendant’s actual innocence. Usually when a defendant is acquitted (found “not guilty”), the jurors make that decision based on the fact that there was some small measure of doubt in their minds as to the defendant’s guilt. These doubts is what the defense lawyer raises, and there is no better place to begin then in the defense opening statement. If you haven’t already, go ahead and read last months tips for the prosecutor’s opening statement. You will find helpful suggestions, and the post with help you anticipate what a prosecutor might present. In your defense opening statement, your job is raise some doubt in the jurors minds about the prosecutor’s claims as to what your client has done. So after you introduce yourself, and tell the jurors who you represent, you should begin to highlight the facts in the case that support your defense theory. If the prosecutor points out that he has a solid eye witness to the crime, point out that the witness was over 150 feet away, or that the witness was biased, or that he is not very credible. If the prosecutor says that your clients fingerprints were found at the scene of the crime, point out that your client was previously present on the scene as a guest, or that he trespassed but did not steal anything. If the prosecutor claims your client was caught red-handed with the stolen items in his possession, point out that your client may not have known the items were stolen. Good morning ladies and gentlemen of the jury, my name is so-and-so and it is my privilege to represent (name of client) in this case before you today. You have heard the prosecutor explain what she hopes will be proven, but the prosecutor did not tell you all the facts. The prosecutor has explained that my client was “identified” as the bank robber, but in fact this supposed eye-witness is a man that has held a grudge against my client for a long time, and he has made many inconsistent statements about the case. The prosecutor has explained that my client was found the next day with over 50 thousand dollars, but none of those bills’ serial numbers was matched to any bank, and my client had the money due to a recent inheritance. The prosecutor has stated that my client confessed to the robbery, but this statement was made to the police under coercion, and my client is mentally ill and didn’t know what he was saying. So we would ask you to keep an open mind and listen to ALL the evidence, and return a verdict of “not guilty”. Thank you. So now that you have spoken, the jurors in the mock trial will at least be prepared to listen to both sides. Keep in mind, that you just can’t make this “doubt” up out of thin air. Every “doubt” must exist in the mock trial packet your teacher gives you, and you need to prep all your lawyer teammates and witness teammates to cover all the fact that are important. For example, if you state in your opening that your client had all that cash due to a recent inheritance, your classmate that is questioning the defendant on direct sure as heck better have the word “inheritance” on his outline of questions. You will lose points if you mention things in your opening statement if they are not later established by the testimony. See also our new post on How to Write Opening Statements. 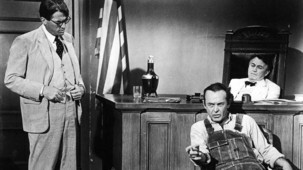 When it comes to courtroom drama, there is nothing quite like the cross-examination. The closing argument usually includes an attention-getting, impassioned plea to the jury, but let’s face it, the closing argument sometimes can sound a little rehearsed. A cross-examination can never be rehearsed. You can prepare for the cross exam, but you never have to worry about it sounding memorized. 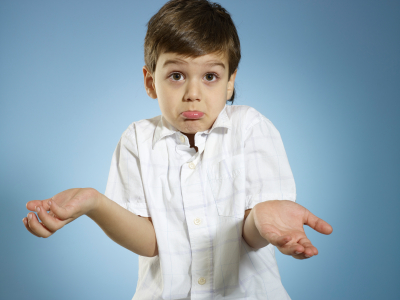 You never know how the adverse witness is going to answer a question. The best way to prepare for a cross-examination is to write down a list of questions. The questions should be listed in an abbreviated, outline form. I usually draw a little box next to each question, and I check the boxes as I go. You don’t have to go in order. The cross-exam will take a natural course. One of the hardest parts of the cross-examination is getting the tone right. The cross-exam that a lawyer does for a criminal defendant or a police officer is obviously much different than a cross-exam of a child or a neutral witness with no ax to grind. You want to make it clear that you are in charge, and you are to make sure that your questions are answered, but you don’t want to go overboard and look like a jerk. Mock trial lawyers sometimes lose points by being too rough on a witness, or by indulging too much in sarcasm, or trying to be too theatrical. The trial process is, of course, a serious event. Lawyers often make more eye contact with the jurors during cross-exam than on direct examination. The reason is that the lawyer is seeing how much the jurors are absorbing, and how they are reacting. 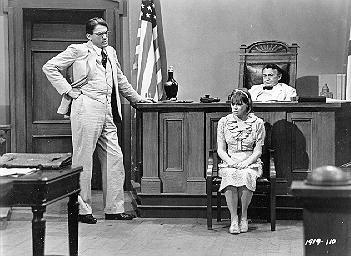 The jurors’ attention to the witness usually increases. On cross-examination a lawyer is allowed to ask leading questions. On direct-examination, a lawyer may not. When you are questioning a witness, you are typically not allowed to approach the witness without asking the judge for permission. Typically, approaching the witness is only allowed when you are asking him or her to look at an exhibit. In mock trials, judges sometimes relax this rule. Below is a clip from the movie My Cousin Vinny. The cross-examination tone is sarcastic, but the scene demonstrates the basic point. What is “Hearsay” in a Mock Trial? What is hearsay? In life, as in the courtroom, people like to make decisions based on first hand information. Outside the law, people will often discount as “hearsay” information that is unreliable that they have heard from other people. So too, in law, lawyers try to make sure that information comes directly from people first hand. Hearsay is a complex system of rules and exceptions to rules that come from ancient England and that are embodied in our evidence rules. For example, a witness says “John told me Mike robbed the bank”. Since the witness did not see Mike rob the bank, the statement would be hearsay evidence to the fact that Mike robbed the bank. Such a statement would be inadmissible, and it is the job of a mock trial student to object to such evidence. “Objection hearsay!” The judge will sustain such objections. No one would want to be convicted of a criminal offense based on such second hand information. 1. Confessions. A witness is almost always allowed to quote a person who confesses to a criminal offense, or makes a statement against his or her interest. 2. Excited Utterances. A witness is usually allowed to quote another person who was very excited or scared or agitated at the time. It is thought that person in such a state would be in no shape to concoct fabrications, and thus most be telling the truth. For example, a police officer arrives on the scene of a bank after an alarm is sounded. A hysterical teller blurts out that “Mike” a former employee demanded money at gunpoint. The police officer would be able to quote the teller as to the identity of the robber. However, it is the job of a mock trial lawyer to establish the state of mind of the teller. 3. Business Records. A witness who maintains record for a business or agency is generally allowed to admit the content of those records into court. For example, a bookkeeper at a convenient store can introduce receipts for purchases of fuel by a getaway car even though he or she was not working on the day of the robbery. 4. Prior Statements Under Oath. Statements made at a prior court proceeding are generally admissible if the witness later becomes unavailable. For example, if a teller witnesses a robbery and is questioned in court about that robbery, and ends up dying before trial, that earlier testimony would be admissible at a later trial. 5. Statements Made for Purpose of Medical Diagnosis. Generally, a doctor or nurse is allowed to quote a patient as to statements made about their medical condition. For example, a nurse may testify that a patient complained that injuries were cause by a beating during a robbery. However the nurse may not quote the patient as to who, in particular, caused the injuries. 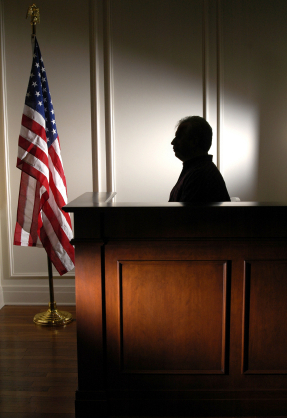 Knowing the hearsay exceptions is a good way for a mock trial lawyer to score points in a trial.